Oh man, I have been waiting FOREVER to share these with everyone. Every single time I get to do bridals, my heart soars….and then anxiously jumps around until the wedding day. It is SO hard to keep these hidden, because they are all just so beautiful. Jamie is one of those people that just shines when they enter a room. Her smile is as wide as these beautiful Texas skies and eyes as blue as the sea. Cheesy? I don’t even care, I love cheese. 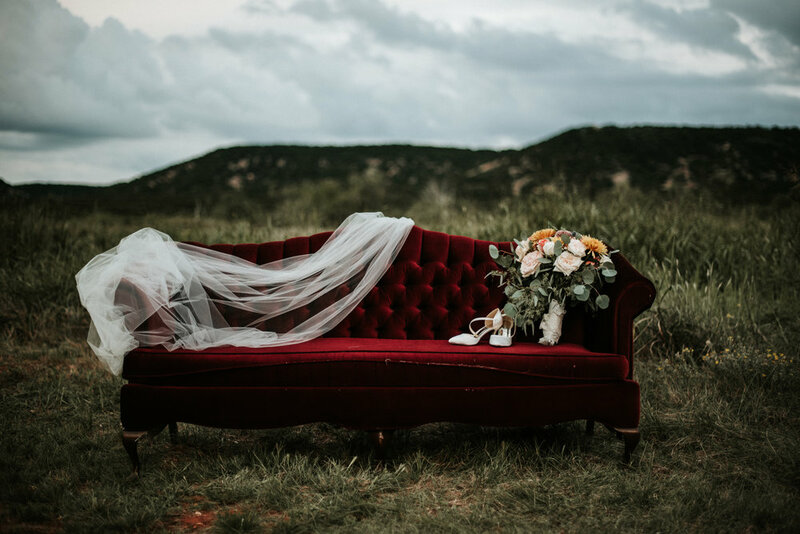 When we got to talking about her vision for bridals all she wanted was open field and foothills…and boy did we find it. I got in contact with the owners of Cliff Spring Ranch, and they were so welcoming. Right when we drove in we were greeted by Laura and she drove us around and showed us all the beautiful spots on their property. It was such a dream, absolutely every part of this place is gorgeous! In Texas summer fashion, we were getting eaten alive by mosquitos - but we did it. Jamie was such a trooper and we were racing the sun (thank you thunderstorms) but this session is one of my favorites to date. HER DRESS - oh my lord her dress is absolutely stunning!! 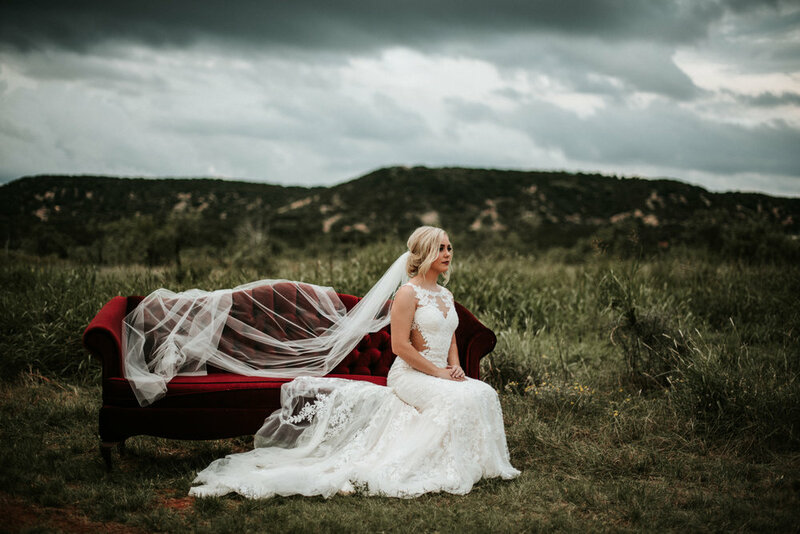 Crafted by Lillian West, Jamie found her dress at Blushing Bride Boutique in Frisco and it is even more gorgeous in person. I am so so so excited to finally show you guys these, I mean really, who doesn’t love a beaming bride in a gorgeous dress? Thank you Texas for these amazing lands….we couldn’t have done it without you.